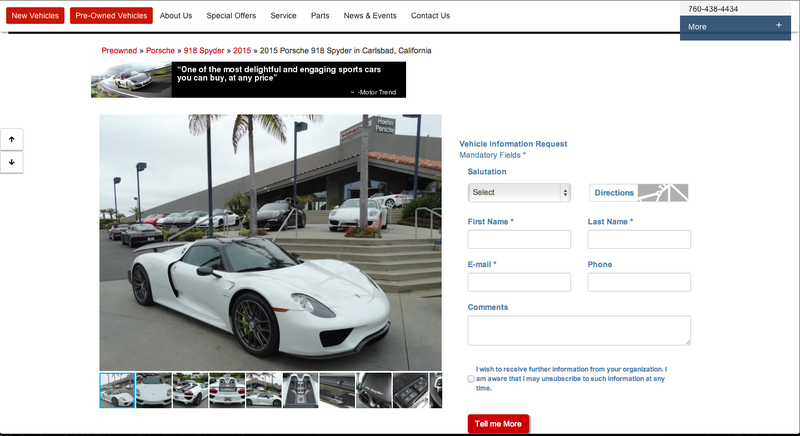 A Porsche dealer near me has a 918 Spyder for sale. In a PTS Onyx White color. With Weissach package.